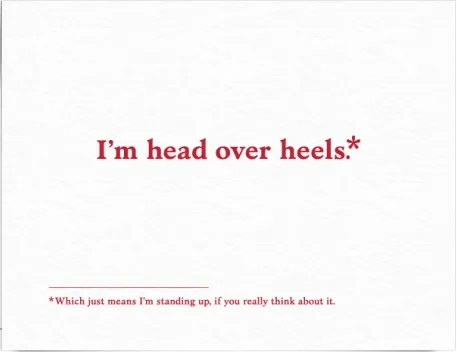 I wrote a while back about a nifty new company (Postable) that offered beautiful and humorous thank you cards at reasonable prices – which they mailed directly to your desired recipient with your message printed in a handwritten font (which was difficult, but not impossible to distinguish from real handwriting). Recently I received an email from Postable informing me that they had significantly expanded their product line. From only carrying generic thank you cards they’ve expanded into specific niches – baby, graduation, and religious. They’ve also added holiday cards (Christmas, Thanksgiving, Groundhog Day (?! ), Hanukkah, Chinese New Year, New Year, and Valentine’s Day), and cards for everyday occasions (congratulations, get well, birthday, moving, apologies). Wow! Now I don’t ever have to write a card again! Okay, so maybe I’ll still need to write some cards – but point is – this is pretty exciting. 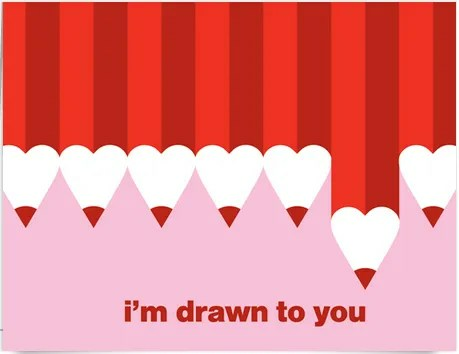 In the email I received Postable provided a 20% off coupon for Valentine’s Day cards. The coupon code is LUVCARDS. Now guys, I may be a dunce when it comes to being romantic – but even I know that one of the quickest ways to end up in the dog house is to give that special someone a printed Valentine’s Day card (errr…make that any card! 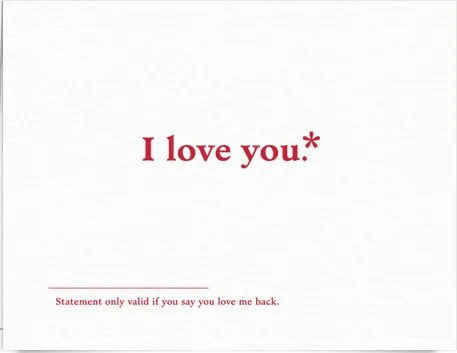 )…So use this for those you care about – but don’t blame me if you find yourself in hot water if you choose to give a printed Valentine’s Day card to her. Love Note by Silas Tom. Haha. Get it? I’m drawn to you. 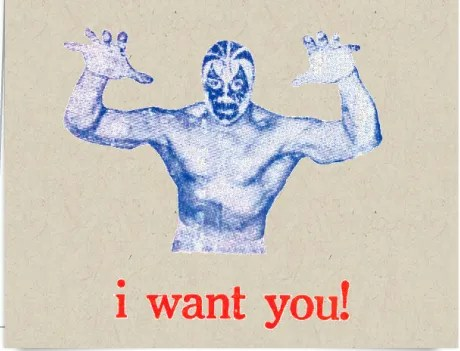 I Want You Luchador by Viva Greetings. 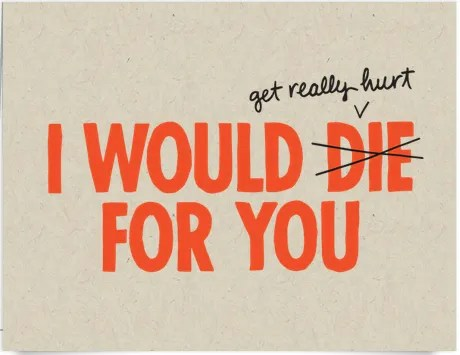 This is the sort of card I would give to male friends…I think it is the first Valentine’s Day card I’ve ever thought I would give to a male friend…Giving it to a female would probably end in incarceration. 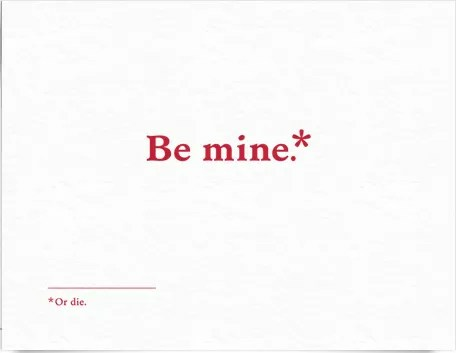 Be Mine by Old Tom Foolery. This must have been made with Overly Attached Girlfriend in mind. 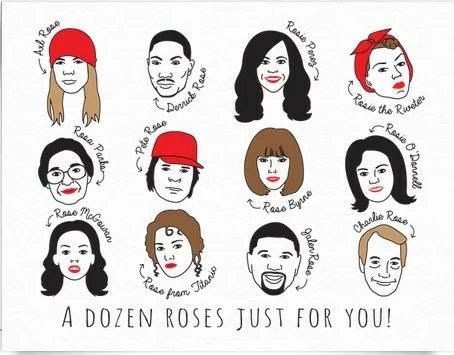 A Dozen Roses Just For You by Postable. I don’t know who half of these people are – but I thought it was funny…especially giving away Pete and Charlie Rose!